meeks wrote: I think ambiguity is a good word to use. I think it helps to avoid making presumptions, but I rather doubt KK would agree that there are no definitive statement of his in the films. I would agree, having only seen a couple of his films so far (Pulse, Bright Future and Doppleganger), that ambiguity seems a perfect word to describe at least these films. There is never really an explanation as to how events are triggered off and what the characters are exactly feeling that is making them do what they do. I actually prefer Bright Future and Doppleganger over Pulse really only for the reason that I think when a superficially 'genre' piece is being made that you need to be very clear about the rules of the world you are creating, even if you do not explicitly tell them to the audience. Having said that, I like Pulse very much and was very interested in watching the remake to see how they tackled the material. Even just the remake's cover forewarned of a much more literal interpretation and Horror with a capital 'H'! While I much prefer the original film, I find that watching a remake and thinking about the things it gets right or wrong (only in my opinion, of course) can be a worthwhile exercise in helping me to crystallise my feelings about the film, especially when the original is so ambiguous! Some of the changes in the remake helped to illuminate the original's themes. For example I would argue that the original film is not exactly a 'horror' in the classical sense of monsters and ghouls. The closest to an explanation we come in the original (which seems more just speculation about the nature of the phenomenon and which brought to my mind the discussion of the cafe customers in The Birds) is of how the dead started spilling over into the world of the living through overcrowding and that they are not evil in intent but more just lost souls. Since I'm a nerd I immediately thought of that Dawn of the Dead line "when there's no more room in hell, the dead will walk the earth", only with ghosts rather than zombies! I also got the impression that the idea of the world being overcrowded due to the dead coming through in massive numbers, creating more and more 'forbidden rooms' in abandoned industrial areas, while the indiginous population either assimilates or disappears in other ways, was meant to be a quite funny comment on immigration and overcrowding of a relatively small island country. That the film ends with the remaining characters out in the middle of the ocean, trying to find a new home, seems to add weight to that interpretation. That theme is not really applicable to the US, since the one thing there seems to be an abundance of is space! So the characters are not forced out of the country but instead just out of the cities and into areas where there is no signal range (which might be just as bad for city dwellers!) to continue the war (and it is a war in the remake) in a fashion that recalls the end of The Terminator. There might also be a bit of irony at work there as usually characters in horror films are always finding that they cannot get a signal on their mobile phones (usually the first sign something is going to go horribly wrong or they are about to get bloodily murdered! ), so the change to having to lose the phone signal to be safe was quite nice! Though this does point out another (cultural?) difference in the treatment of technology. 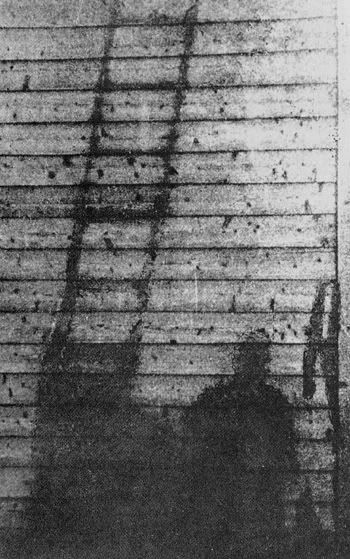 In the Japanese film the computer itself is not really the cause of the disaster, its role in the dissemination of the ghosts is just a continuation of its role as a conduit. There is a theme of physical separation but mental connection but it seems less to do with technology being evil but that it can give full access to ideas we had never considered before, both good and bad. After all Japan is hardly unused to a high suicide rate but more connectivity allows these kind of ideas to spread further than they ordinarily might have (there are some parallels with the Ring there). Similarly in Britain recently there has been much made of a spate of young people all killing themselves in such high numbers in so small an area to not seem suspiciously connected. I think in the Kurosawa film the ghosts are another expression of this spread of ideas, as if contact with the ghosts leads to a feeling of futility, of uselessness and loneliness that overpowers the usual ability to carry on with life. It does not seem to be really intended by the ghosts to cause these feelings - I would think of it more like being in the presence of a really depressing person! No matter how much you try to remain upbeat eventually the negative energy rubs off! It does not mean there should not still be sympathy for the person who is depressed though! It makes the image of someone literally becoming a shadow or becoming ash and blowing away sadly beautiful, with the emphasis on those left behind who cannot help or prevent their friends leaving them or comprehend their leaving. The difference in Michi's reaction to the loss of her friends, especially Junko, and her eventual acceptance of Ryosuke's leaving is beautifully done to show she has come to terms in some way with passing on. I didn't really feel that from the American remake, which never really gets past the idea that death is something to wage war against and uses the shadow and ash idea in a similar way to Stephen Laws' book Darkfall. The major change in the remake is that the ghosts really are threats (less sad apparitions and more 'Come To Daddy' influenced screamers) and there is more of a concrete explanation given for their sudden appearance in that they were alerted to the presence of the real world by the search for new exploitable frequency wave bands. There is more of a reduction from the original in emphasising the blandly carefree nature of the kids in the film who then have their 'joie de vivre' sucked out of them in a disturbingly literal manner! As if they've never experienced a depressing moment in their lives before they have contact with ghosts! One of the more strange changes is to the 'forbidden rooms' covered in tape - in the original they were there to signify no go areas now inhabited by ghosts (a new twist on the abandoned haunted house?). In the remake the ghouls are everywhere and instead it is the living people barricading themselves into their red rooms in terror. The remake is strangely even bleaker: we brought this on ourselves by our technological society meddling with nature, the ghostly world is horrific and unforgiving and all that is left is trying to wage some kind of future war for some kind of control of the living world. If either film were to cause legitimate depression it may be this one! One other thing I love about Japanese horror films - no matter how dark, bleak or horrific things get they all seem to end with a kawaii upbeat rock/pop tune! It would seem as incongruous as the Spice Girls doing the end credits song for the latest Hostel film but somehow it works! Last edited by colinr0380 on Mon Aug 18, 2008 2:25 pm, edited 1 time in total. Grady Hendrix has posted the teaser poster for Tokyo Sonata over at Kaiju Shakedown. Tokyo Sonata will be playing the NYFF, however the listing at indieWIRE gives an 85 minute running time. It was 119 at Cannes. A misprint, or has KK re-edited the film for international release as he did with Bright Future? Michael wrote: If you want to pull a "philosophic" statement out of Cure or Pulse or Bright Future, then go for it. KK is not stopping you from doing it. But films like Cure or Pulse can offer so much more than that to some people. I think this is absolutely true. Kurosawa is an extremely skilled film maker. He has this uncanny ability to craft two seperate films at the same time; a unique and complex genre piece on one side, and a layer of social or philisopical concerns and observations (although I think his philisopical leanings are far more socially concerned than whimsical mulling) floating around underneath. The latter will be there for those that are intrigued or concerned with seeing what some of those more ambiguous elements are in the genre layer, and for those who take the main story on it's own merit, can appreciate his talent for images, sound design and unconventional approach to the medium. Kairo, for example, I find to be one of his trickiest in analysing that abiguous, metaphorical side. He is clearly concerned with the nature of technology, more specifically computers and the alienation that will result from their rapid assimilation into every home (the spread of the ghost). The computer offers a new world for us, a world where you can meet, chat, shop, learn and see in ways reality can not afford us, yet it can begin and end with a push of a button, we come out of our computer and where are we? Hopelessly alone, knowledgable that all we have experienced, no matter how real it seemed, was entirely artificial and we are less connected to the world than ever before. So we use computers more and more to continue this false connection to the world (the japanese translation of Kairo being Circuit (or there abouts) is far more fitting to these themes) experienceing our own world less and less, fading away like shadows on the wall from all existance. Even taking these shadows as a metaphor is very eye opening. I feel the shadows to represent the fallout of technology, in the same way the atomic bomb ended Japan's involvement in World War II so violently that people and objects were litterally imprinted as shadows (caused by the sheer power of the light and heat from the blast of the bomb) on the roads and buildings - see here and and here. I believe Kurosawa is likening the emptiness of the streets and cities, the dissapearance of the living that resulted from the bomb, to the spreading use of computers and the resulting disconnection from the real world. The atomic bomb plays a visual importance to the social themes underneath the even more ambiguous Charisma, which again also reflects heavily upon alienation and identity, as well as his other great themes of (mass) random acts (of violence) and mysticism. His films are extraordianrily complex and involved, but as michael noted, they are also masterful even if you just take his stories on their own. dadaistnun wrote: Tokyo Sonata will be playing the NYFF, however the listing at indieWIRE gives an 85 minute running time. It was 119 at Cannes. A misprint, or has KK re-edited the film for international release as he did with Bright Future? It's a misprint. There is no re-edit. Thanks; good to know. I never got around to checking out the shorter cut of Bright Future, but the longer version is one of my favorite Kurosawa films. Which includes a link to a Senses of Cinema article on Kairo. An entry on Pulse in The Onion's New Cult Canon. English language trailer for Tokyo Sonata. NYT piece by Terrence Rafferty. Great to see such high visibility coverage, pot shots at Doppelganger and Charisma aside. Kurosawa's next film announced. Apparently this is neither the turtle-horror nor the historical drama hinted at previously, but instead looks even more intriguing. I'm guessing this will get an English-subbed release somewhere someday, but the entire series was fansubbed pretty much immediately after it aired. Doesn't fix the price issue, though by Japanese TV-on-DVD standards that's something of a bargain. Check out this or this (from their current best-sellers list) for some real gouging. Third Window mentioned on Facebook that they're "having a look at" releasing Shokuzai/Penance - now that would be something! From this Venice overview, looks like the critics of the world are once again racking their brains over KK's infamous tonal shifts and "disappointing" endings; really looking forward to seeing this one way or another. Also, don't want to speculate, but someone asked for Loft and they replied "We've got something even better planned" Could it be the 1998-99 box set hinted at earlier? Can't wait to hear what they're up to! Scheduled for release next fall, which means we should have two new Kurosawa films in 2013. Nice to see him back to his old prolific self. 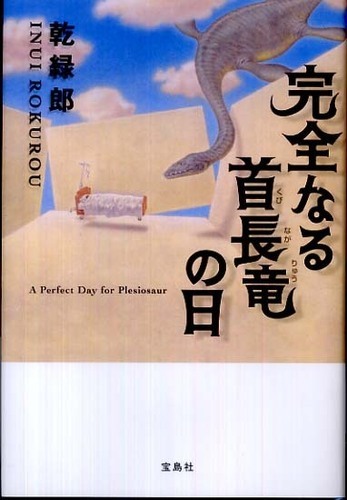 Short trailer and Japanese website (and finally the correct title) for REAL: A Perfect Day for Plesiosaur. This looks set to be totally amazing! Looks great. One can only hope that Shokuzai doesn't burn any bridges for Kurosawa releases in the US; I've seen the latter and it's easily his weakest work since before Cure. The digital cinematography is almost always badly lit and lensed, the narrative is suspenseless, the settings are banal, and the less said about the score the better. The cast is great but they can't do all the work. Except for a few inspired moments Kurosawa seems bored with and distant from the source material. REAL, though also an adaptation, looks like a return to form. Sad to hear that about Shokuzai, I had quite high expectations for that - I'm still anxious to see it though (although not optimistic about that happening). For me KK is one of those directors who is consistently interesting even when he would seem to fail (another would be Skolimowski, who fails more often though). I even quite like Seance, another maligned TV work. I should've posted this awhile ago (especially since the English-language media totally missed it), but 1905 is on indefinite hold. It was announced just before the big wave of anti-Japanese protests in China, which screwed up a lot of pending Sino-Japanese productions. In this case, Tony Leung dropped out--the official line from his camp is that he never formally signed on in the first place--and the financing (much of which was to come from a Chinese state-owned company) fell apart. Kurosawa says he still wants to do it, but he has no idea when it will happen. Last edited by The Fanciful Norwegian on Tue Feb 19, 2013 12:06 am, edited 1 time in total. repeat wrote: Sad to hear that about Shokuzai, I had quite high expectations for that - I'm still anxious to see it though (although not optimistic about that happening). It's readily available in HD and with fansubs on the internet, so I wouldn't worry too much. The cinematography has much more in common with your average low-budget Japanese TV drama than with Kurosawa's previous work, so I wouldn't lament the lack of theatrical screenings either. On the other hand, I'm very sad to heart that the Leung-starring version of 1905 isn't happening. Oh, well. I'll add it to my list of dream films that will have to remain so, just after Bresson's Book of Genesis. Took long enough, but an English-language source has finally reported on the fate of 1905. Nothing to add to what I wrote above, except that the film's collapse may have killed a Japanese arthouse distributor that was going to co-produce it. Meanwhile Kurosawa has another project in the pipeline: a short film for the Beautiful 2013 omnibus. This is a follow-up to the original Beautiful project that Tsai Ming-liang contributed to last year (and which I posted about here). The other directors in this year's lineup are Mabel Cheung, Wu Nien-jen, and Lü Yue. Chinese video portal Youku is also co-producing this year's installment, so hopefully they'll follow 2012's precedent and upload the results in a couple of months with English subtitles. There's an English-friendly edition of Shokuzai out in Hong Kong, sold in two separate parts at an affordable price. I finally got to see Shokuzai -- and (sadly) found it fairly disappointing. The story seemed rather clunky (and this mini-series was very plot-centric). Midnight Eye has a new, interesting interview with KK about the V-cinema days - has anyone seen Men of Rage, his speed cycling action film from 1994? More new work from KK: Seventh Code to be premiered on the Rome Film Festival (in competition). The festival site lists the runtime as 60 minutes.